Thank you for your interest in our work. All of our jewelry is cut by hand and then fired in a kiln to temperatures ranging from 1400 degree to 1650 degrees Fahrenheit. No molds are used in any of our work. Our original designs are made of quality dichroic glass and a 22K gold process that donna developed as a result of experimentation. 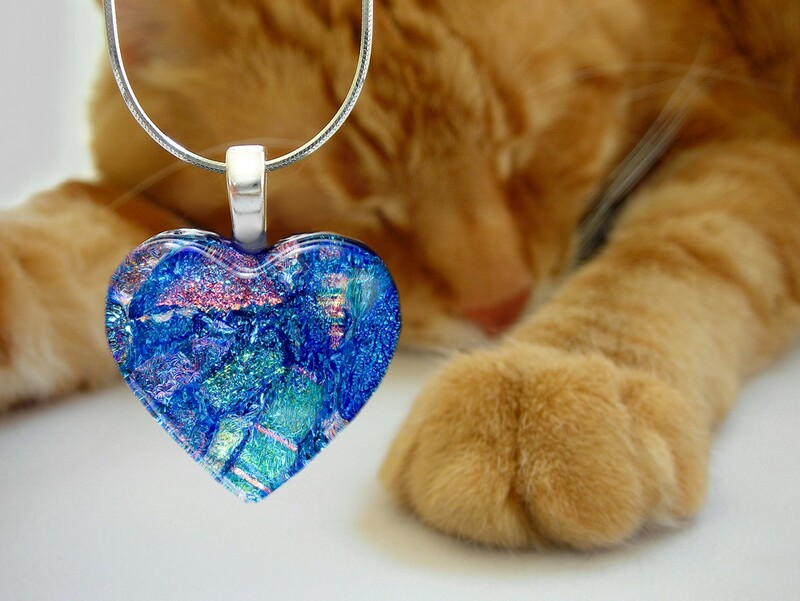 Dichroic glass is created by placing glass into a dust-free vacuum chamber, then vaporizing metal oxides onto the surface of the glass in microscopic layers. The layers filter various rays of the spectrum, while allowing other rays to pass through. The result is this beautiful, shimmering effect.